Make your mark on all your party guests with this ebony and gold New Year's Eve party kit for 50 people! 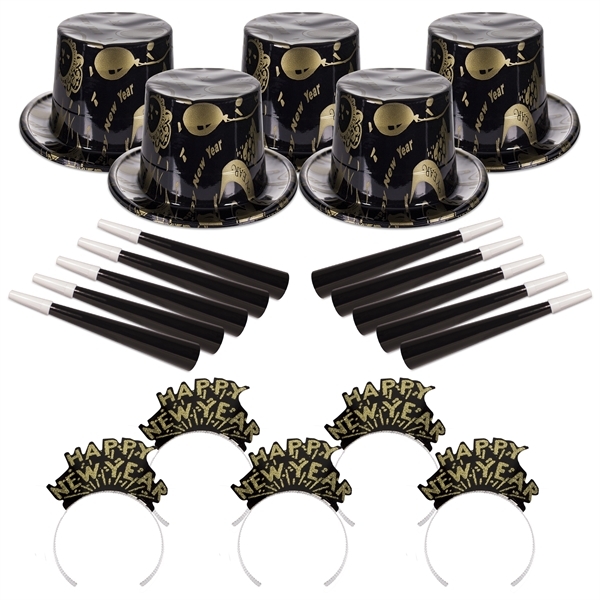 This unique celebratory party kit includes 25 "Happy New Year" top hats, 25 gold glitter on black "Happy New Year" tiaras and 50 black horns. This unimprinted collection is the ideal way to create a large party with all the fixings in a snap. Add some color, excitement and convenience to your next event with this kit today!